On this page, there is a tutorial, involving full-fat VS, and at the bottom there are a number of comments around difficulties building the solution. I saw a challenge in trying to prove it is actually easier to build using the DotNet CLI and VS Code, rather than FF VS. One reason might be that you are closer to the bare metal of DotNet Core: if you are running in FFVS, it might be hard to deduce if the build error is due to DotNet Core problems, or problems with Visual Studio’s integration with DotNet Core. 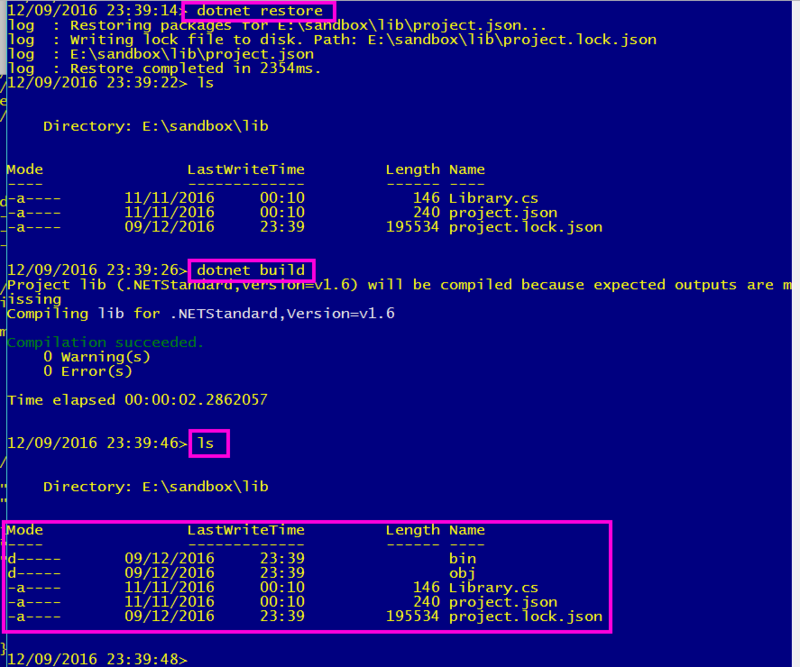 My previous articles on DotNet Core have only been around simple command line stuff, namely, using the default [dotnet new] command. That’s enough for a first post on this, as I have stuff to do. I’ll probably complete it over a number of days. More anon. 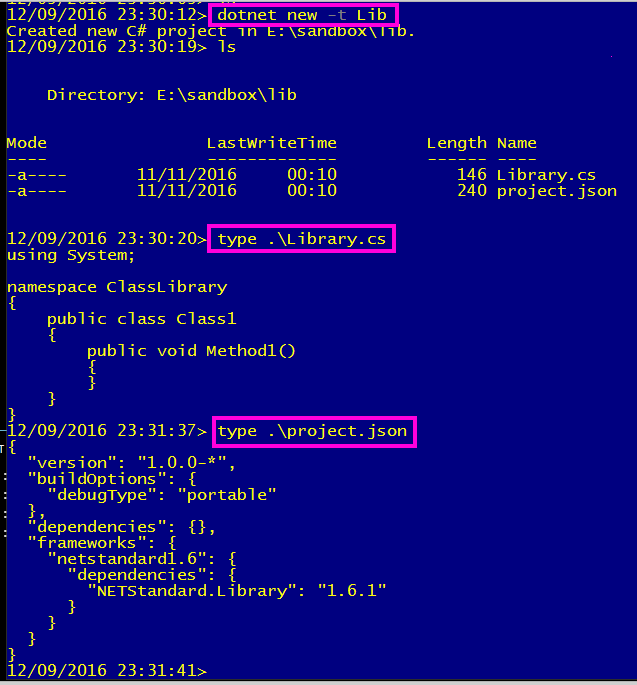 This entry was posted in C#, CLI, DotNet, DotNetCore, PowerShell by dennisaa. Bookmark the permalink.